That, my friends, is what temperate weather looks like. This has obviously been a very exciting weekend as a result. Beneath yesterday's blue skies, I ran to the bank, the post office, the market, the grocery store, and the laundromat, multiple times. Then I came back to my apartment and scrubbed it in its entirety. 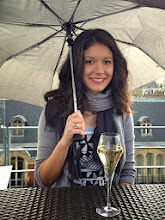 Lorelei and I toasted to Saturday's productivity at Joséphine last night. 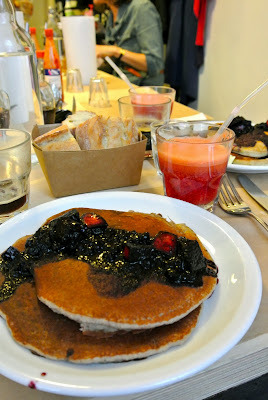 Post-equinox, I met Lara at Bob's Kitchen for Sunday brunch: coffee, filtered beet-apple-ginger juice, and buckwheat pancakes topped with fruits rouges. Yes, yum. 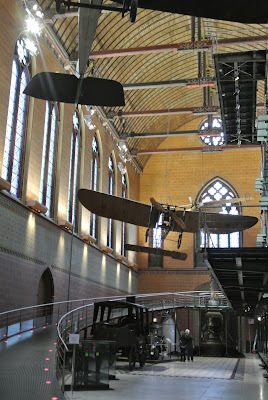 We wrapped up our date at the Musée des arts et métiers, marveling at the great lengths of human imagination as we caught up on the latest in each other's lives. She is delightful. And the rest of my day continued as such with reading, watching, and making lentil soup (recipe to come!). Fall, I am just loving you so far. Thanks, Paris, for playing along. How lovely considering the torrential/undecided weather last weekend! Exactly! I sent you an email about your question for advice :) would love to help if I can. Brunch! You can get brunch in Paris... reason No. 230408 that I should be living there instead of The LPV.